Is your gmail inbox filled with lot of emails? You want your emails well organized than before. 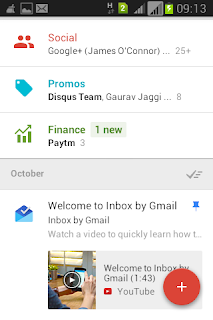 Here tech giant google introduces +Inbox by Gmail . 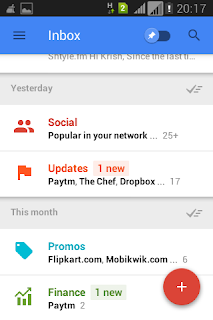 A week ago I got inbox invite, I started using inbox, I can't stop using it. It keeps my inbox clean and well organized so that I focus on my main interests. Currently it is in beta testing. Invites are needed to access this application. It is one of the most wanted app. Many users are waiting for Invitation. Senior vice president +Sundar Pichai at Google mentioned that it is biggest rethinking from google. First of all it has very nice user interface. See the below image. 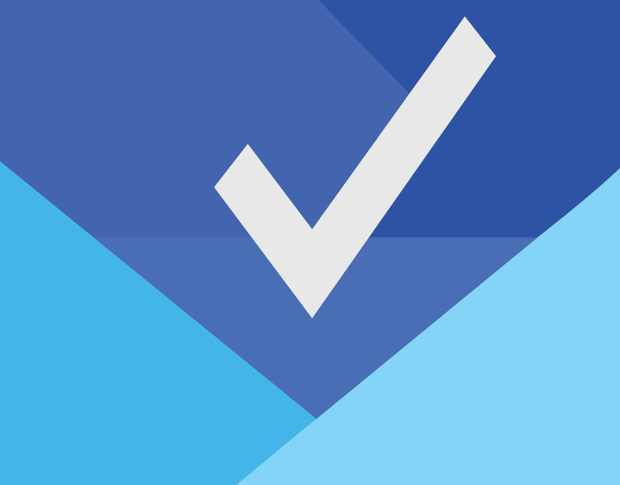 Big change in this "Google Inbox" is you can swipe emails right or left which means "Done" or "Snooze" just like reminders. When you swipe right (means "done") those mails moved to "Done" tab. And it will be stored in that tab permanently so that you can check back those emails. If you swipe left it will ask to set reminder. you can see it in below image. 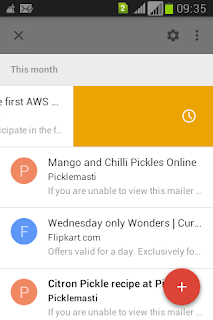 You can Bundle the emails like categories in current gmail UI. For example you can create social bundle to deal with all social network related emails. You can see the main information of email at glance. Suppose you got email from some e-commerce website that has Order details Gmail Inbox directly shows the order details without opening email. For this Gmail team suggests web developers use schemas in your e-mail so that Inbox recognizes it. You can set reminders in your Inbox. It is useful for to-do lists. 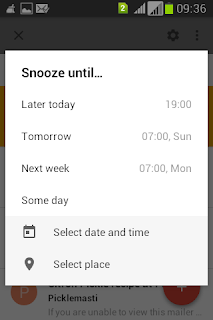 Here is the steps to set reminder. You can pin emails. So that they stay in Inbox. You can see all pinned emails by using simple switch that is located at top right panel. You can see in below Image. 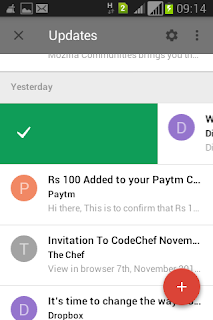 You can download Inbox from Play store. After downloading wait for invite. You can request invite by sending mail to inbox@google.com or else take invite from friend having Inbox. Comments are appreciated.